Yeah, but: Warranty honoured – crisis averted. Counter Opinion: I had a scare a couple of weeks ago – my Canon S100 stopped working, leaving me without a decent compact camera in the middle of a vacation. I immediately started an emergency round of camera-shopping, and thought a lot about what I had learned in over eighteen months of carrying and using a compact camera every day. While I wasn't too fond of Canon at the time, the Canon G15 was simply too good to ignore. The G15 – pronounced G-one-five in honour of the G-one-x – is a smaller camera than the G11/12 was, mostly because it has lost the flip-out LCD screen. While I do like that the camera is now almost slim enough to put in a pocket, I really hate that the flippy screen is gone. 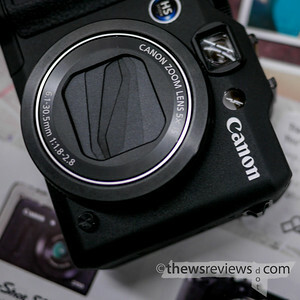 Let's be honest: Canon's G1x experiment has been a failure. It's big, clunky, and slow; the improved image quality has proven insufficient to overcome its limitations and price. But it has a flip-out screen. Removing the flippy screen from the G15 feels churlish – the marketing equivalent of Canon taking their ball and sulking home. We've already seen Canon intentionally stripping away features to create a cheaper counterpart for their entry-level SLRs, but doing it to their once-premium compact camera is just plain mean. But there's a practical and objectively sensible reason to resent the removal of the flippy screen from the G-One-Five as well: this camera is legitimately good at 'macro' photography. (Which, incidentally, is a huge shortcoming with the G-One-X.) Canon's G-series has long been known for their touching-the-lens focusing ability, but the reproduction ratios on earlier models would quickly fall off as the focal length gets longer. Shooting close-ups at wide angles is great for special effects, with wildly exaggerated perspective and proportions, but a more realistic look needed close-up filters on an adapter. The G15 mostly solves this problem, keeping a good close-focusing ability through most of its zoom range. This makes for photos of small subjects with a much more realistic sense of proportion, and lets them be taken from a more reasonable working distance. 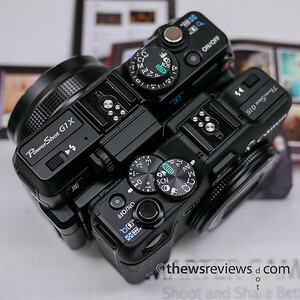 A flip-out screen would make the G15 an automatic purchase for anyone who does tabletop small-product photography, but instead I'm left with the prospect of recommending the Nikon P7700. A Coolpix. I can't believe the world has come to this. 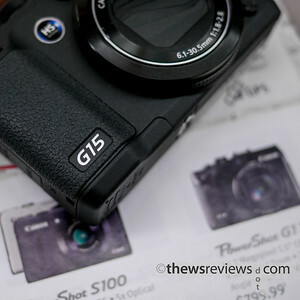 Aside from that one huge and glaringly massive shortcoming, there's a lot to like about the G15. It's not actually all that much bigger than the S110, and it doesn't have a touch screen, which is enough of a reason to pick it over its smaller cousin all on its own. Interestingly, the G15 also lacks antennas for GPS and WiFi, so the short list of features that will appear with the next model is pretty clear. The G15 retains the lousy optical viewfinder that has graced every G-series camera since the sequence began, which remains slightly better than nothing even as it's one of the last cameras that includes one at all. Canon isn't winning a lot of innovation awards recently, but there's a lot to be said for reassuring predictability. The other signature of the G-series, and larger advanced compact cameras that follow its lead, is ample exterior controls. These are useful and appreciated, although dedicating a button to changing the metering mode seems like an odd choice. And for the life of me I can't figure out why nobody – not Canon, Fuji, or Nikon – has thought to put a stronger detent under the "0" position on their exposure compensation dials. Sadly, the G15 remains a compact camera to be looked at and worked around rather than a photographic tool that can be used seamlessly and reflexively. One positive trait about the G15 that really stands out is its speed. 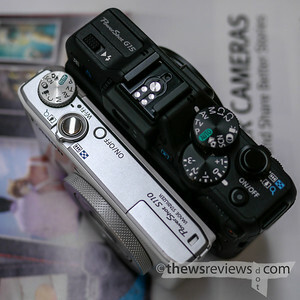 It's not going to replace an SLR, but there's a definite snappiness to it that my S100 lacks. The lens is also a huge improvement over the status quo: even it its full extension it's a relatively bright f/2.8, but it still escapes the need for a lens cap that hobbles its bright-lensed competitors from Panasonic and Olympus. This keeps the G15 in the realm of one-handed pocket cameras, which is why I would consider it as a worthy replacement for my S100. The other reason why I'd stay with Canon for a pocketable camera is its "Safety Shift" over-exposure protection. It's one of those little things that barely merits a mention elsewhere, but coupled with the built-in neutral density filter, it opened up a whole new range of long exposure photography options for me. Since I don't expect a pocket camera to be able to do high-quality work, and the G15 is no exception, it might as well be fun. But my flirting with the G15 came to nothing. Canon decided that my faulty S100 was covered under warranty, so I won't be needing a new point-and-shoot after all. With my pocketable camera needs covered for the foreseeable future I've found myself thinking about the Panasonic GX1 – about the same size as the G15, and the body is actually cheaper, but with substantially better image quality. Maybe there is going to be a new daily-carry camera in my future after all.